The Ministry of Finance (MOF) is working on a draft resolution on handling tax arrears and irrecoverable fines for submission to the National Assembly. Accordingly, the ministry proposes freezing tax arrears or tax debts. This means it would temporarily cease collection of tax and late-payment interests for those who have terminated their business activities for more than one year due to actual dissolution, except cases of splitting, merger or acquisition, and those who had their business licenses revoked. The uncollected tax amount of this particular group is now estimated at over VND 26.5 trillion (USD 1.08 billion), accounting for the majority of the total unpaid tax debt of around USD 1.18 billion. The ministry also plans to relinquish late-payment interests for taxpayers who were stricken by disasters, fires, accidents or other force majeure events. However, such exemption would apply only to late payments not exceeding the paid value and the suffered damage, which the MOF estimated to be around VND 2.24 trillion in total, as of the end of 2017. However, in order to ensure that the tax debt remission is implemented in an objective manner, the stipulation of force majeure events should be clearly defined, he added. Meanwhile, economic experts remained hesitant about the MOF’s plan. 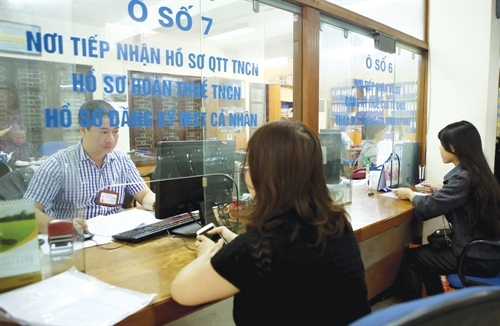 Economist Nguyen Minh Phong said the basis for debt relief is enterprises’ ability to comply with the law, but tax arrears elimination also has limitations as it sets a bad precedent for enterprises and creates unfair competition.